There was no summer houses in Hejsager strand - In stead we shows summer houses in the neighbour villages to Hejsager strand. Lovely, fully renovated apartment, situated in a village near the border to Germany. 3 bedrooms, living room, kitchen and bathroom. It is perfect if you shall shop across the border. Located just at the new motorway intersection E45 to Sønderborg. Lovely holiday hopuse in an atractive holiday area with good opportunities for cycling and fishing in the beautiful scenery at The small Bell. Family friendly. Close to Kolding. 6 persons 3 bedrooms Washing machine Woodburner Internet - Broadband Distance to beach: 1000 m.
New luxury flat on the shoreline for 4 persons. Located directly at nature path in protected area. Few metres from marina, restaurants, supermarket. 4 persons 2 bedrooms Dishwasher Washing machine Internet - Broadband Pets OK Distance to beach: 75 m.
Cottage with great views of the water. 66 m2 with room for 6 persons. New family kitchen-allroom. Wood stove, Sat-TV and free internet. Near beach and yacht harbour. 6 persons 2 bedrooms Washing machine Woodburner Internet - Broadband Pets OK Distance to beach: 300 m.
Cottage 63 m2 on the shore with private bathing jetty and placed on a dead-end road. Panorama view. Quiet preserved area direct at beautiful nature track. 300 metres to the Beach, restaurant and cosy boat harbour. 4 persons 2 bedrooms Dishwasher Woodburner Internet - Broadband Distance to beach: 300 m.
Max 150 from childfriendly beach with a jetty. 15 km south of Kolding. Very large, partially covered terrace with good shelter. New, modern kitchen, 2 bedrooms. Playhouse. Dogs are welcomed and there is a dog yard. Information and photos: lilian@rfbo.dk. 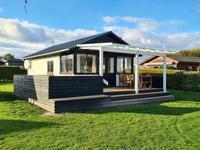 4 persons Woodburner Pets OK Distance to beach: 150 m.
Holiday house with wonderful views over the Sea and Aarø. 200 m path directly to the beach. Swimming bath, restaurants and shopping nearby, good fishing. Ongoing renovated. Terrace with garden furniture and barbecue. Electric heating. 4 persons 2 bedrooms Internet - Broadband Pets OK Distance to beach: 200 m.
Appartment of 75 m2 with lovely sea view, 200 m to the beach and good fishing opportunities. Suitable for couples who want peace and tranquility in beautiful surroundings. Living room, 2 bedrooms and bathroom. 4 persons Dishwasher Internet - Broadband Distance to beach: 200 m.